The computer science/MBA dual degree program will allow students to combine technical IT skills with advanced business knowledge to drive leadership and decision-making in the modern technological business environment. According to the industry leaders that make up both department’s advisory councils, the advanced business technology skills acquired in this program will provide graduates with broad marketability and opportunities for career flexibility. Emphasis is given to blending classroom theory with applied projects, like internships or MBA capstone projects, to provide an unparalleled educational experience. The joint degree program requires 147 credit hours — 120 hours for the bachelor of science in computer science, plus 27 hours in MBA coursework. Students could receive two degrees in five to five-and-half years. 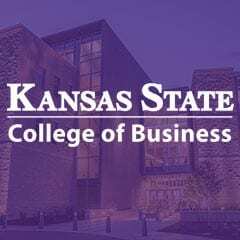 Undergraduate students would begin to take business courses in their senior year, taking an additional two to three more semesters to complete the MBA program. 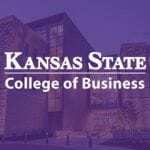 Learn more about the new program online or contact Sheryl Cornell, cornell@k-state.edu, or Kelly Bruna, kellybruna5@k-state.edu, at 785-532-6350.